The ornamental lines of the water-wave designs are taken from well-known Chinese paintings of the past. Among the Five Friendlies, Beibei is known to be gentle and pure. 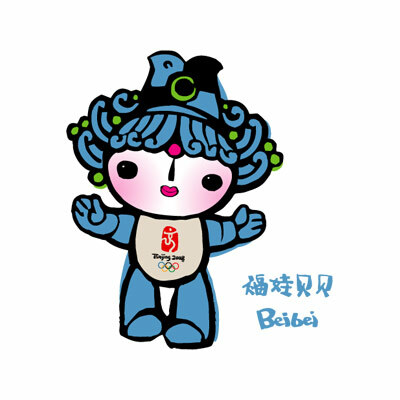 Strong in water sports, she reflects the blue Olympic ring.